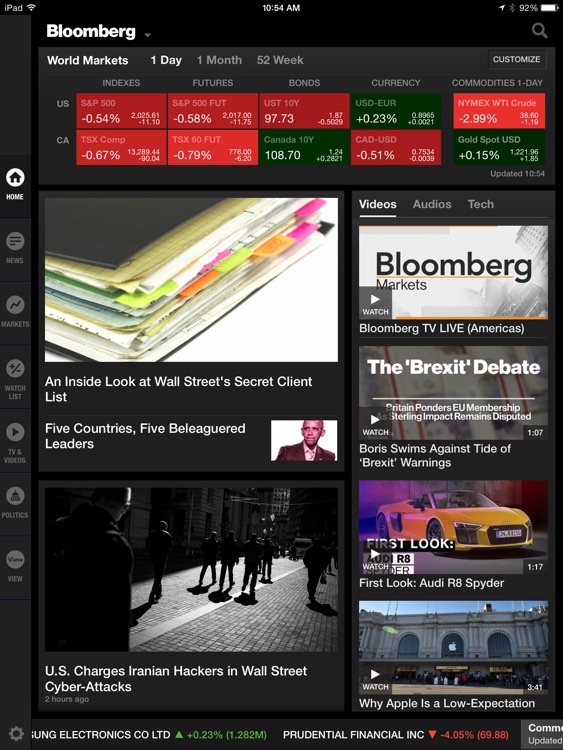 Bloomberg is known to many as a reliable place to get financial information. It lives up to its name with this fantastic iPad app. 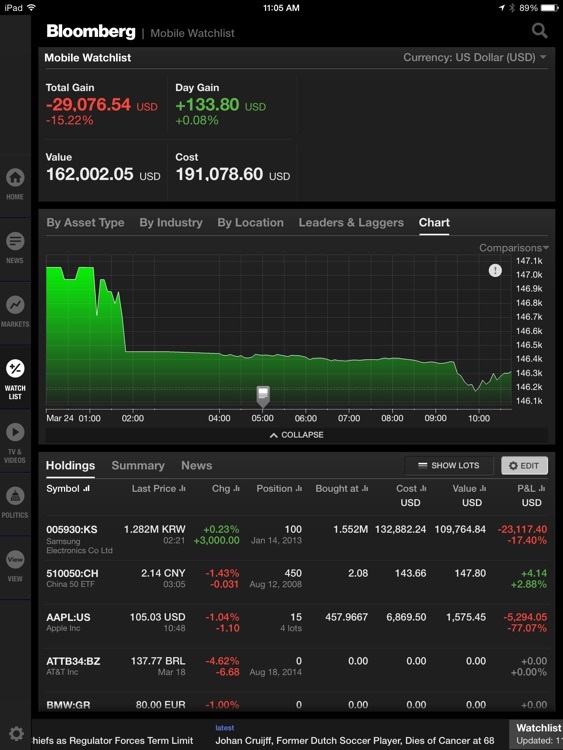 Like other apps in this category, Bloomberg gives stock and currency information. But what separates it from the pack is its news coverage. I liked the way the app initially presents news when opening it but the real wow factor comes when you open the news section. Here you will find a vast variety of categories that include topics such as health care, municipal bonds and insurance. 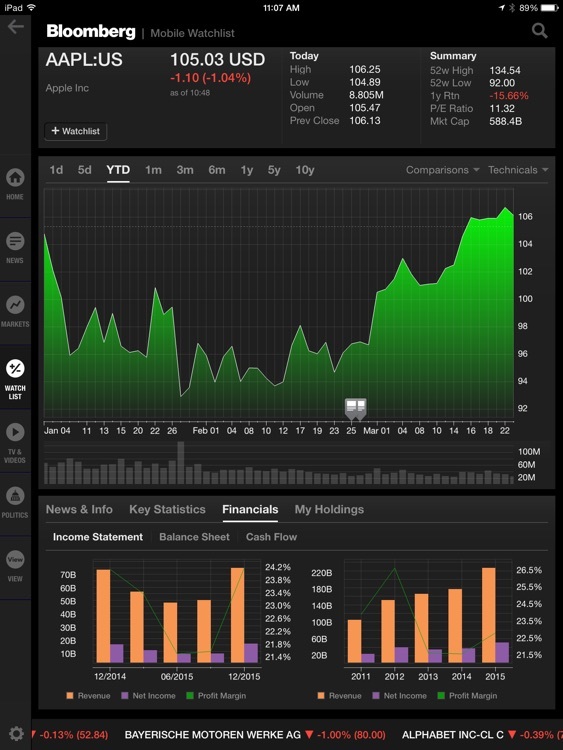 This app is undoubtedly for the serious financial whiz, but even if accounting isn't your forte, you can still find a lot of use out of Bloomberg for iPad. 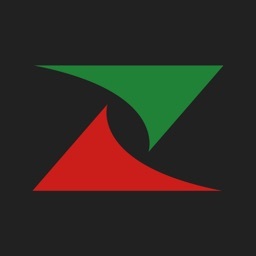 Get comprehensive access to global business and finance news, market data and portfolio tracking tools from the world's most trusted source. - Read the featured and latest stories from our award winning journalists on the leading business topics in Markets, Industries, Technology, Politics, Luxury, Personal Finance, Opinion and many more. 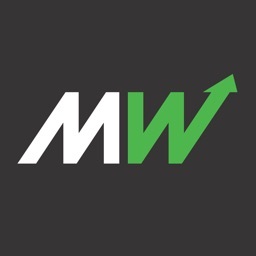 - Keep up to speed on the latest news for the companies in your Watchlist and on key events affecting the markets such as the Debt Crisis, Elections, Federal Reserve, Technology, Earnings etc. - Get the latest market data personalized for your region including Equity Indexes, Futures, Bonds, Commodities & Currencies. - Additionally customize the markets and securities that are most important to you for instant access. 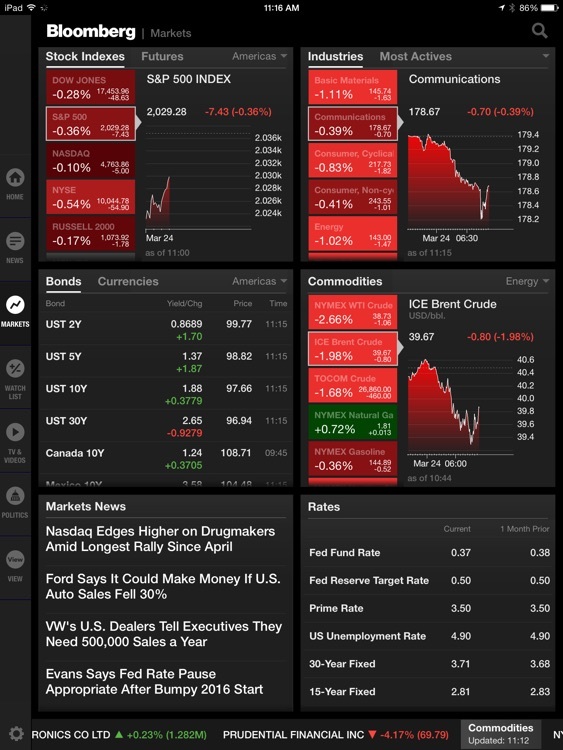 - Easily add a security (stocks, mutual funds, ETFs, currencies, etc.) to your personal Watchlist(s). - Track, manage and analyze these personal holdings with powerful performance charts, identify the Leaders & Laggers and comprehend movements by Asset Type, Industry & Location. - Drill into more details on companies that include key statistics, financials and earnings updates. - Watch Bloomberg Television Live providing a comprehensive view of the business news, interviews with industry leaders and market movers and breaking news insights. 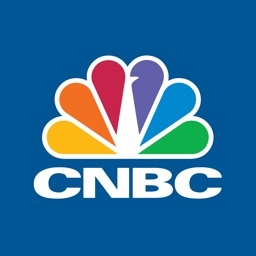 -- No Cable or Satellite subscription is needed to watch Bloomberg Live TV. 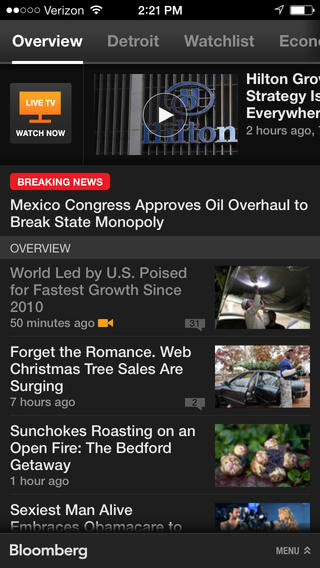 - Watch featured videos specifically chosen for the top news categories. 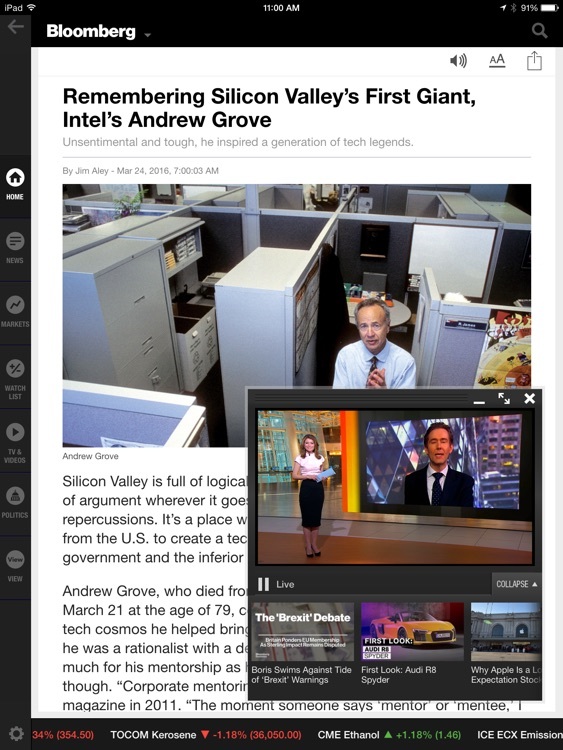 - Watch the videos chosen by our editors within the articles to add more insight to the news. 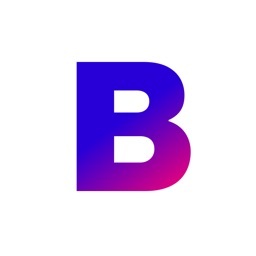 Bloomberg, the official iPhone app of the well-known financial news company of the same name, has just received another major update.